Production equipment with computer numerical control is a major component of computer integrated manufacturing (CIM). CNC machine tools paved the way for introducing flexible automation on the shop floor. The technology of computer numerical control is today applied to a large spectrum of material processing equipment. The developments in CNC have been one of the major factors that have contributed to the evolution of CAD/CAM and subsequently CIM. For manufacturing a component, the CAD/CAM process generates a NC program which can run on the CNC machine. 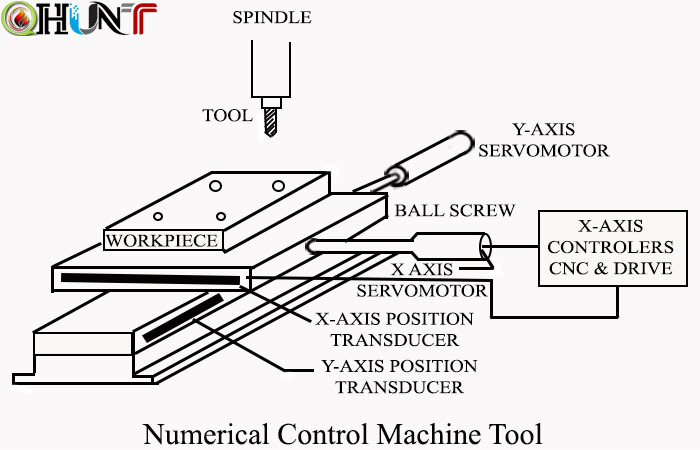 The fundamentals of numerical control, their types and the programming techniques are presented in this chapter. The features of CAM software and CNC systems are discussed in detail. 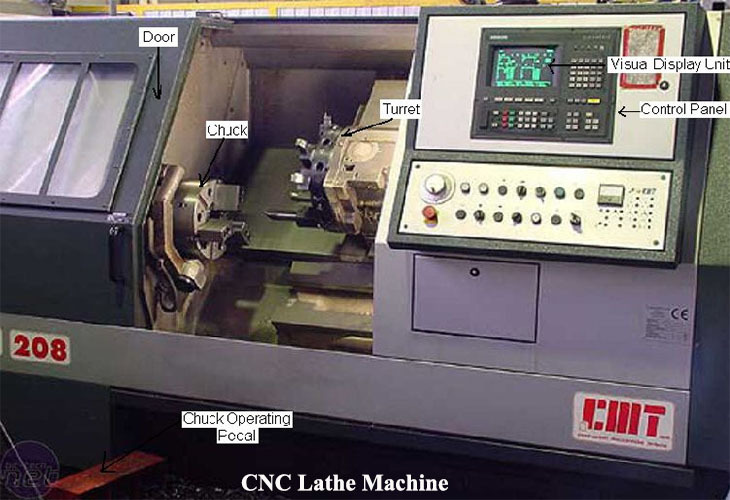 The integration of CNC machines in the CIM environment is also dealt with. NC Machines. The control systems and machine tools in numerically controlled machine tools have varying complexities and capabilities. In the initial stages, the NC machine tools had NC systems added to the machine but only to control the position of the work piece relative to the cutting tool. The operator had to select the cutting tools, speed and feeds etc. In the next stage, the capabilities of the machine tools improved relationship, the material and in addition to maintaining cutter removal was also controlled by the and work piece numerical control system. The mechanical design of the machine tool was also improved with the development of recirculating ball screw and better slide ways. These machines are referred to as NC machines. The instructions to the NC machines are fed through an external medium, i.e. paper tape or magnetic tape. The information read from the tape is stored into the memory of the control system called 'buffer storage' and is processed by the machine step by step. So when the machine is working on one instruction block, the next block is read from the tape and stored in the memory of the machine control system. Since the part cannot be produced without a tape being run through the machine, these machines are also called tape con-trolled machines. The tape has to be run repeatedly depending on the number of components to be produced. Also if there is even a minor change in the design of the component, the tape has to be discarded and new tape with changed program has to be produced. (c) The part program can be edited and optimized at the machine tool itself. If there is any change in the design of the component, the part program can be changed according to the requirements.